With MindKey employee feedback software, you create surveys, collect and quickly analyze respondent data, easily and intuitively. 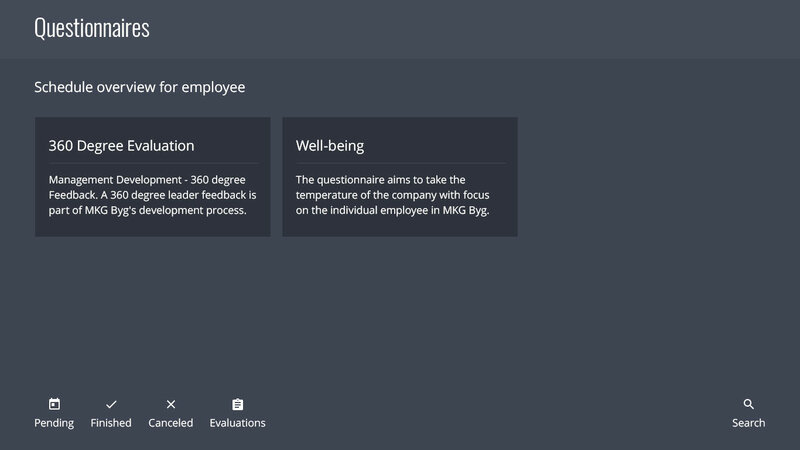 MindKey is perfect to conduct your internal employee surveys like employee satisfaction and 360 degree feedback. 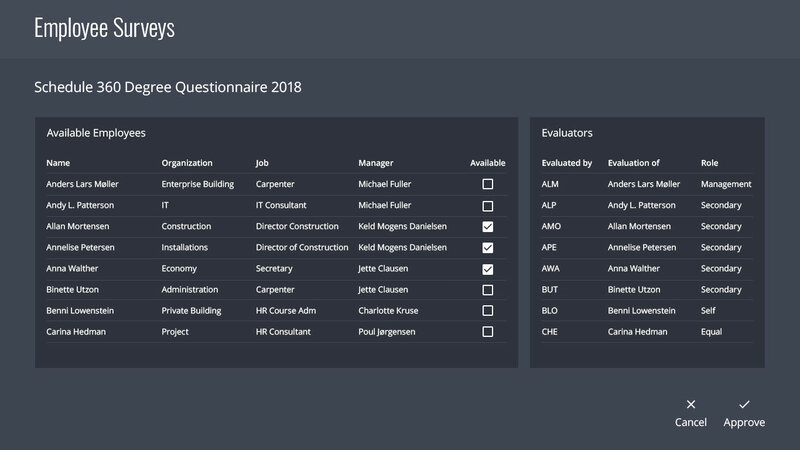 MindKey lets you design survey questionnaires of great flexibility using different question and answer types. Surveys can easily be conducted with MindKey, using the questionnaire function. A respondent planning feature enables you to search and select from the organizational structure, staff members or jobs. This time saving feature will give you an experience of added efficiency to your planning processes. Use the built-in email invitation system and automatic reminders when inviting your employees to respond. Measuring employee engagement with regular polls helps you spot potential issues early. Creating employee satisfaction surveys will give your company and HR department valuable insight. Using MindKey employee survey functionality you can analyze your work environment and gather, register and systematize all information quickly and easily. Reduce the cost of acquiring new colleagues and invest time and money in your current staff and employees. MindKey let you quickly and easily conduct 360-degree reviews so you get crucial, in-depth performance information from across the organization. MindKey 360 degree feedback is an action-oriented tool for identification and evaluation of strengths and development opportunities for each individual manager. It´s a complete feedback from the stakeholders, that one relates to most commonly. The evaluation is carried out through a survey, containing your preferred choices of questions and answers.